Lansing, Michigan is the capital of the state, and is about 80 miles away from Detroit. The city itself has a population around 113,000, but there are about 500,000 in the greater metropolitan area. Lansing is an important center for the area of Mid Michigan, for education, culture, government and business. The city area is home to many colleges, like Michigan State, so there are many students and young people. 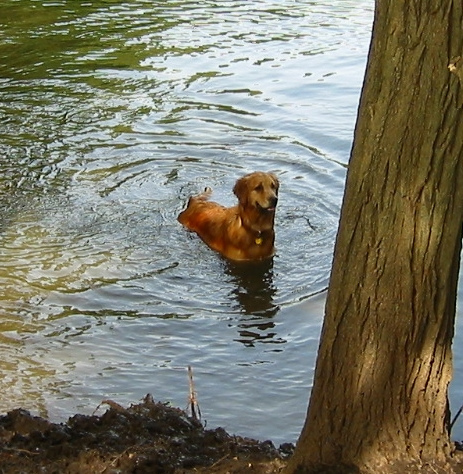 It is full of fun walks, parks and natural attractions where you can have a good time during your visit with your dog. These tours go from Grand River Park just south of downtown Lansing, and they are the only triple deck river boat cruise in Michigan. Leashed, well behaved dogs are allowed on the boat. This is a four mile trail if you go out-and-back (2 miles one way), which is an easy walk on the Lansing River Trail. It is a great place to take children, as it features a scale model of the solar system. This particular walk begins at the Impression 5 Museum and ends at the Potter Park Zoo. Leashed dogs are allowed to join you on the trail. This is a seasonally open farm, that has items like fresh fruit, pies, vegetables, flowers, orchards, hay rides and more. It is located in Saint Johns, Michigan, and it takes up 5 acres. Dogs are allowed to join you on leash. This is a huge, wonderful off-leash dog park that is open year round. The park itself is free to use, but you will have to pay for parking, which is more expensive if you are not a resident. This park has over 17 acres, with a diverse natural area, trails, a large pond, open fields, drinking fountains and waste bags. It is located just north of Hawk Island County Park. This is a 150 acre park alongside a river, which has many options of woods and prairie to explore. Leashed dogs are allowed to join you in this nature center. This is a park of over 2,600 acres, with a large lake, rivers, open fields, and over 16 miles of hiking trails. Dogs may join you at the park on leash that is under 6 feet, but they cannot go to the beach area. This restaurant is great for families, as it has a kid’s menu and video games for kids, as well as a good selection of beer, burgers and pizza for adults. It is located in East Lansing; leashed dogs are allowed at the outer tables. There are two locations of Panera Bread in Lansing, which is a chain place that serves bread, soups, sandwiches and salads. Dogs can join you at the outer tables.